Need help installing any NEST equipment? 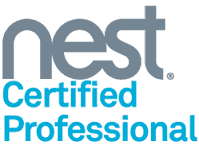 TechnoLiving is Nest Certified Installer. Not only we can install any NEST products you already have, also we sell all the NEST products such us NEST Learning Thermostat, NEST Doorbell, NEST Indoor and outdoor cameras, NEST Smoke detector + CO2 and also most of the products that integrate with the NEST Family. Need help with ALEXA integration? Need help with installation of your own devices? Need help programming or integrating Nest with Google? We Do Not provide Support over the phone. Only On Site Support by our certified technicians. If you leave in Palm Beach County, Call us today 561-420-0304 or complete the form on the right of your screen. 33414, 33480, 33401, 33402, 33405, 33406, 33409, 33411, 33413, 33416, 33419, 33420, 33422, 33480, 33449, 33460, 33461, 33462, 33463, 33465, 33466, 33467, 33454, 33424, 33425, 33426, 33435, 33436, 33437, 33472, 33473, 33474.